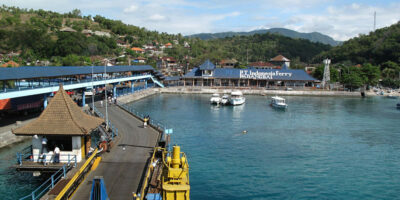 Padangbai is one of the port that you can use to reach Gili and Lombok island. Ferry or Fast Boats depart and return via Padangbai harbor everyday. It offers a compact seaside backpackers hub in a cheap place to stay. The fast boat takes about 1 hour 30 minutes to Lombok main island depends on wave condition.